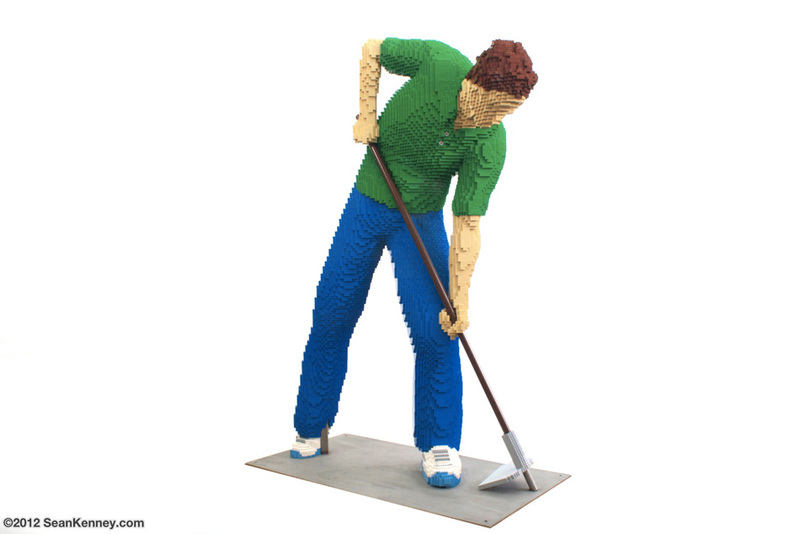 This life-size gardener was built with 37,497 LEGO pieces and is over 6 feet tall and took 300 hours to design and build together with my team of assistants. The sculpture took over 300 hours to design and build by my team and I. Each piece is glued one-by-one and a steel armature helps keep the sculpture secured to the ground.